December is a pleasant month in Delhi though it can get to be a little bone chilling towards end of December around Christmas and New Year. The trick to beat the winter is to keep busy, get out in the open and enjoy the sunshine whenever possible! Christmas time can be lot of fun. 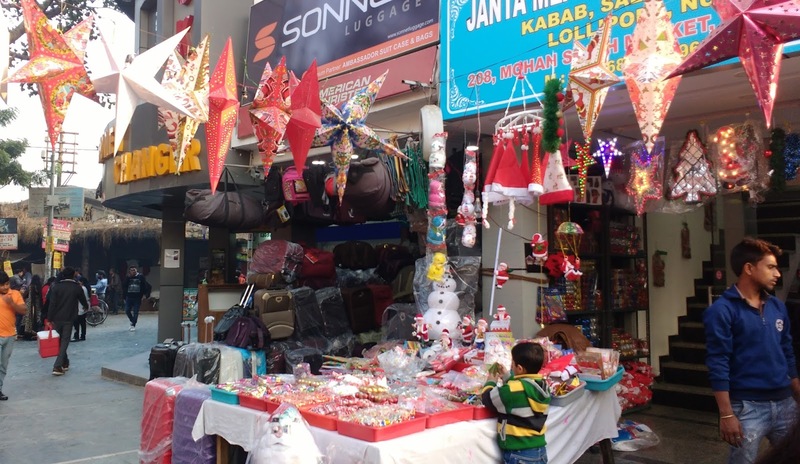 For Christians in Delhi, it is one of the busiest time of the year. From learning Christmas carols to baking cakes and going around door to door singing, wishing people Christmas, and looking around at the Christmas decorations! 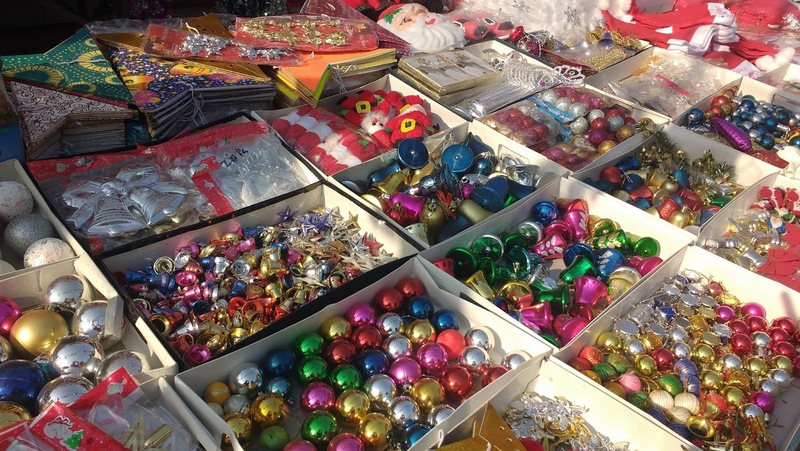 These days, Christmas has come to be recognized as a common festival. Festivities and decorations are done in quite earnestness by malls, hotels, airports and even small shops. 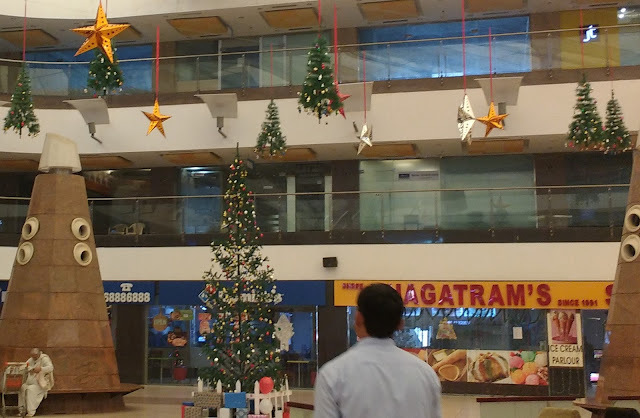 They compete to stand out and attract attention by placing a Christmas tree, have Santa cutouts, and hang stars all around. Markets are abuzz with decorations and stars hanging outside. Shops that are selling Christmas goodies are in plenty. The stars, bells, trees, lights etc. adorn the streets and pavements of quite a few market areas. The Christmassy red, green, white, gold and silver colors make the whole place look cheerful. The celebratory mood is visible though this time I should say the mood for spending has been a little less because of the demonetization problems. People are only spending for what is the basic! Celebrations, therefore are a little restrained but there.